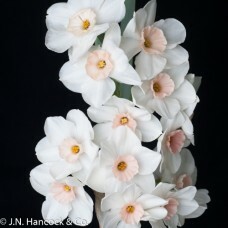 An amazing breakthrough - a true pink tazetta! 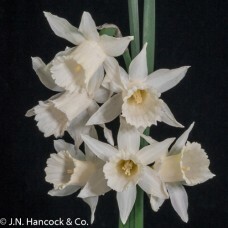 Several white florets on each stem, each with a pale..
Beautiful tall yellow sport of the popular Ice King, pale lemon petals and masses of yellow inner ru..
An attractive, open bloom with “fly-away” petals of creamy-white interspersed with short yellow peta..
A uniquely coloured flower; the petals are lemon with a paler basal halo and the striking soft lemon..
An elegant, well-formed bloom, opening a greenish-lemon throughout. 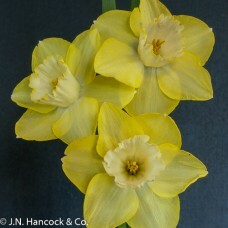 At maturity, the open pleated cu..
A large attractive sulphur-lemon bloom. 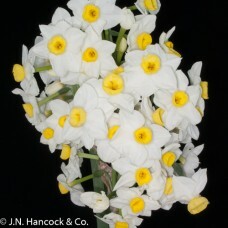 The flanged lemon trumpet matures to white leaving a sparkl..
Large, striking decorative; very flat, vivid orange split corona with delicate yellow edge contrasts..
A spectacular flower. 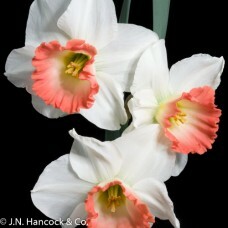 The striking, bright orange, heavily ruffled and frilled split-corona contrast..
A most beautiful bloom; the neat, flat split-corona opens cream-apricot then matures to white matchi..
A top quality decorative bloom. 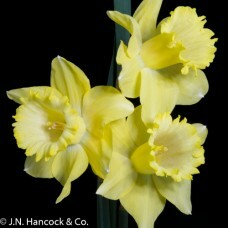 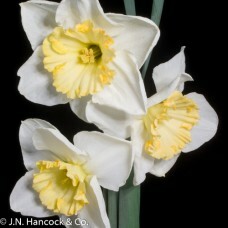 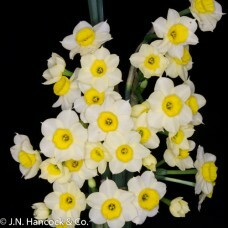 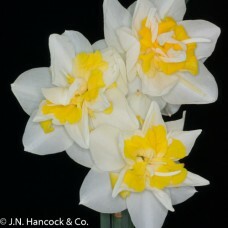 The impressive frilled flat-cup opens bright lemon-yellow and mature..
Well presented bloom. 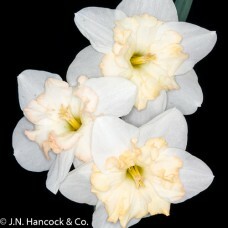 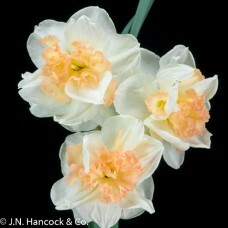 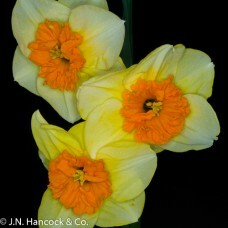 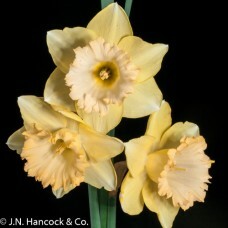 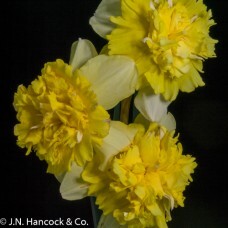 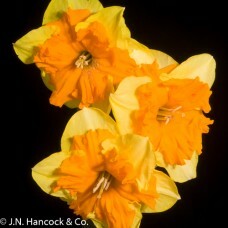 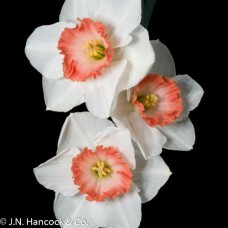 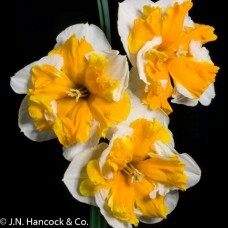 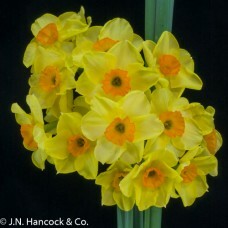 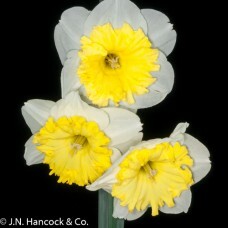 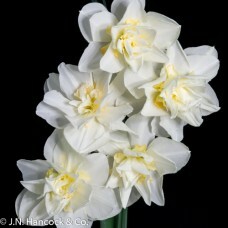 The flat orange cup is heavily ruffled and is complimented by the creamy-yello..